Famous words from a No. 1 hit song of the late 1960’s sung by Mary Hopkins. Looking back over the years this could have applied to many people from Killererin parish. Dancing, drama and music played a big part in the recreational habits of people over the past couple of decades. In the late 1920’s Monaghans Dance Hall provided the venue for the ‘boy meets girl’ scenario. It was situated a half mile from the village of Barnaderg on the Mountbellew Road. Music and dancing would last through the night to the sound of fiddle and accordion. The dances were usually held on a Sunday night. 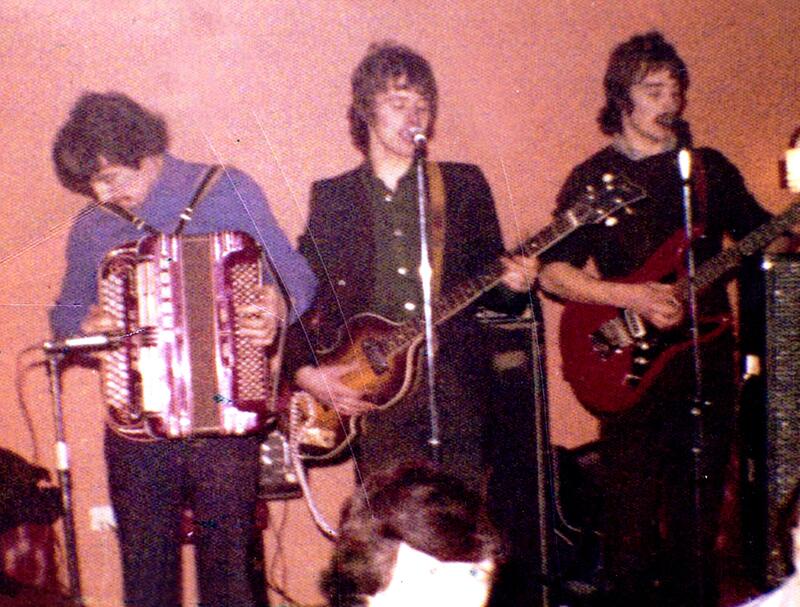 Other venues like Connolly’s’ in Clogherboy provided the same such entertainment a few years later. In the late 1930’s Comers Hall, in the village of Barnaderg opened drawing large crowds from all over North Galway. The dance-bands as they were called at the time provided the music. The bands such as Stephen Garvey (Waterford), Donie Collins, Johnny Flynn, The Westcoasters, Quicksilver, Premier Aces and many other show bands helped to draw large crowds as the years progressed. The famous Val Doonican, who played the double bass and sang with Stephen Garvey, played in Comers Hall. He later achieved worldwide fame and had his own show on BBC television for many years. The bicycle was the main form of transport of the time and it was common practice to leave the bicycle in fields beside the dance hall. Some bikes, not equipped with proper lighting and brakes were parked further away to evade the long arm of the law. The bar or crossbar of the bicycle was the most useful part and for many lovely ladies it was their transport home. Money in those days was in short supply and initially the ‘fella’ usually met the girl inside the hall. Only when the relationship became serious would he pay for her going in to the dance. It was said that the ‘cute lads’ would meet the girls inside. Comers Hall lasted a good few years but in the words of Pat Comer, the arrival of the carnivals spelled the end of the road for the dancehalls. The carnivals would later lose out to the nightclubs and the discos. The last major dance held in Comers Hall took place in 1970 and so came the end of an era. Plenty of material though to rekindle some good old memories for many people. This page was added on 24/06/2018. Sweat House and Holy Well in Creevaghbawn.